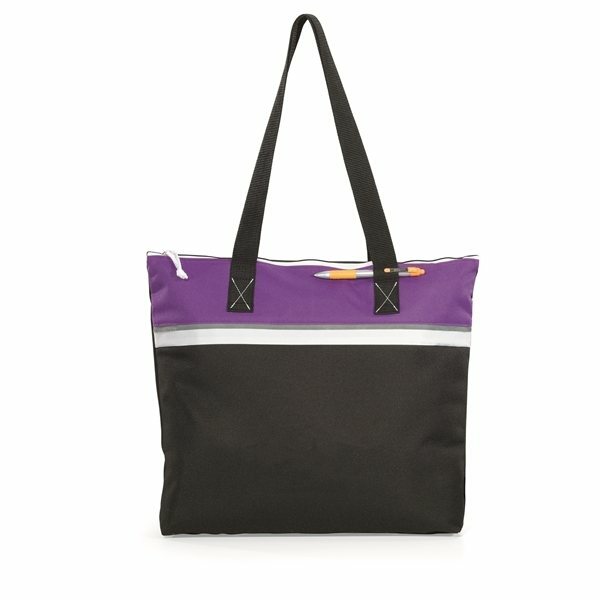 Classic design and bright colors make this tote a standout. 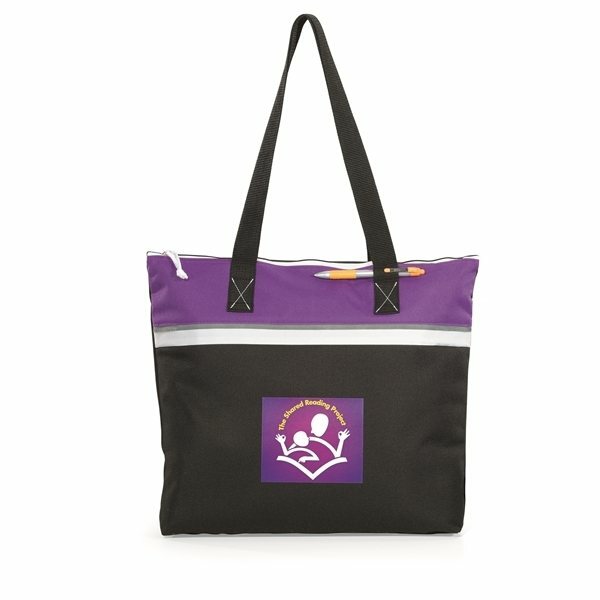 Large capacity main compartment with zippered closure. Print quality and materials quality are both excellent. It was a sturdy bag. It was inexpensive, but didn't look "cheap". Didn't like the way hey were packed. For the price, you can't beat it. I liked the value and the design for the price. These were great! served their purpose perfectly. Loved the price a lot. Definitely a good buy for our numerous events lined up the rest of the year.